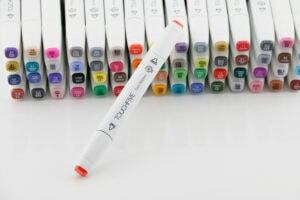 There are so many markers out there, that I find myself wondering which ones are great, and what is so great about them. This is because I love to color and draw, and without a high quality marker, I am left with a horrible looking end product. While, this might not be the case for you, if it is, I went through and checked out some of the best alcohol-based markers on the market. I wanted something long lasting, beautiful and of course, fun to color with. Markers that run, seep through the paper or get everywhere is something I was trying to stay away from though. I managed to find these five high quality sets of markers to go with, and I couldn’t be happier with the outcome. With so many colors, and cases that come with them, I got everything I need and so much more. This is why I invite you to check them out, as well. Your pictures will thank you.